SPAIN: Nordex will provide 58 turbines for six of Gas Natural Fenosa Renovables' projects procured in last year's auction. The 58 units of the manufacturer’s AW132/3000 model will be installed with construction of the first turbines beginning in the summer of 2018, Nordex stated. All of the projects are located in regions of Spain where Nordex has manufacturing facilities. The turbines’ towers will also be produced locally, the manufacturer added. Nordex has facilities in Lumbier and Barásoain in Navarre, near the French border, and La Vall D’Uixó in Castellón, in eastern Spain. The manufacturer said it was increasingly benefitting from the "renaissance" of the Spanish market. Following a four-year moratorium, more than 8GW of renewable energy projects — including more than 4.5GW of wind – were allocated through tender processes in 2016 and 2017. In December, Nordex won its first repowering in Spain when it secured a contract to remove the 90 22-year-old, 330kW turbines at the 30MW El Cabrito project in Andalucía, southern Spain, and replace them with eight 3MW and four 1.5MW machines. A month after completing a merger with Spanish OEM Acciona in April, the developer powered up Spain’s first grid-connected hybrid project. "The Spanish market is regaining momentum after a protracted lull, with international key accounts such as Gas Natural Fenosa holding key strategic significance for us," Patxi Landa, Nordex’s chief sales officer, said. The contract, which also includes a "multi-year service" agreement, marks the first Gas Natural Fenosa order for Nordex, the manufacturer stated. Gas Natural Fenosa won 667MW of wind power capacity at the auction for 3GW of renewables projects in May. 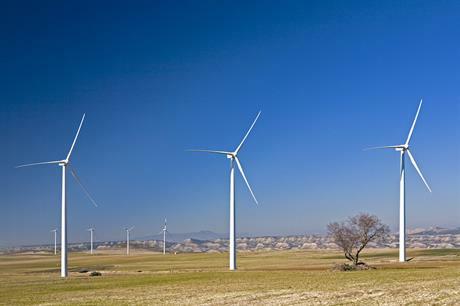 The utility ordered 22 turbines with a total capacity of 64MW from Siemens Gamesa in December. The two projects are also part of Gas Natural Fenosa’s auction allocation.